Voted the most popular painting at the Chicago World’s Columbian Exposition in 1893, Breaking Home Ties captured the American imagination as few other pictures have. The 1890s saw the decline of small family farms and the necessity of young sons leaving the land to make a living in the city or on what little was left of the frontier. 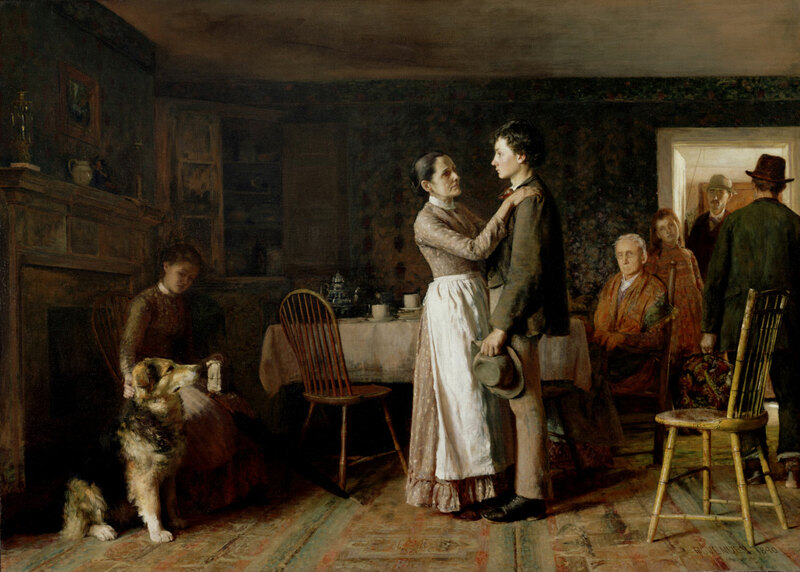 The scene Thomas Hovenden depicts here had been enacted in many homes, and the composition gave American families a visual record of their own turmoil. The artist used models he knew well: each figure can be identified as a relative or friend of the Hovendens, including the family dog.